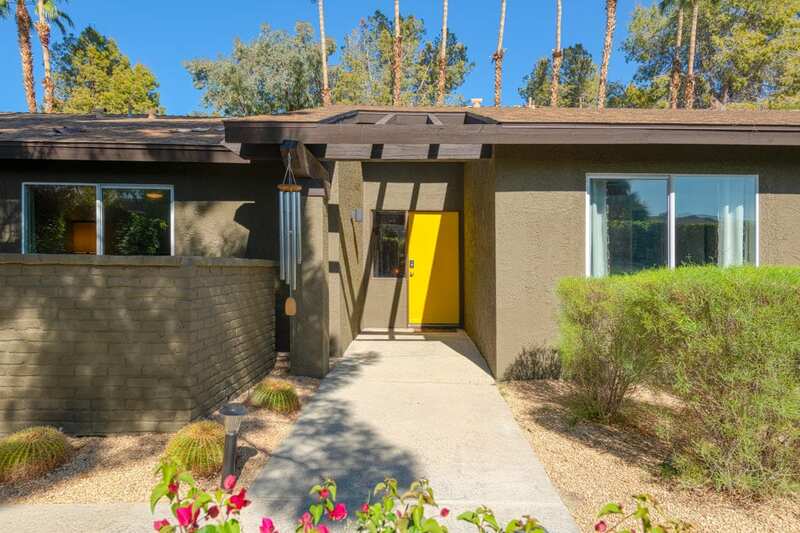 South Palm Springs location with five bedrooms and three baths plus direct access two car garage. Walled with hedges this Los Compadres home has been updated with open kitchen and newer appliance package and has an open living concept to the living room on one side and dining on the other. Ceramic tile flooring in the main living areas with wall to wall carpeting in the bedrooms. Newer HVAC system and tank less hot water heater along with added insulation make the operation of this home more energy efficient. Outside the palm trees and drought tolerant plants frame the setting of the pool/spa and surrounding mountains. This desirable location near shopping, dining and just minutes to the airport make this the perfect place to hang your hat or hat(s).